SOLD!!! 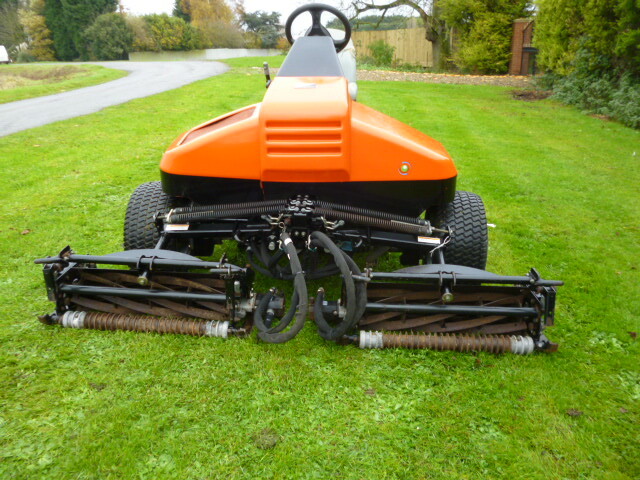 JACOBSEN TRI KING 1900D TRIPLEX TRIM MOWER SOLD! Brief Description: HOURS 498. 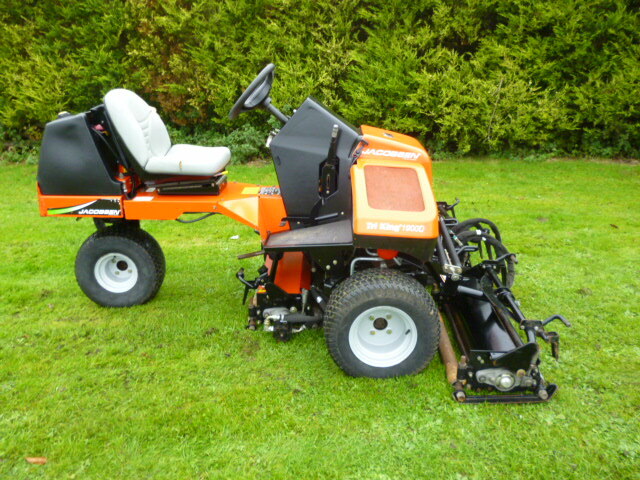 17.7HP 3 CYLINDER KUBOTA DIESEL ENGINE. 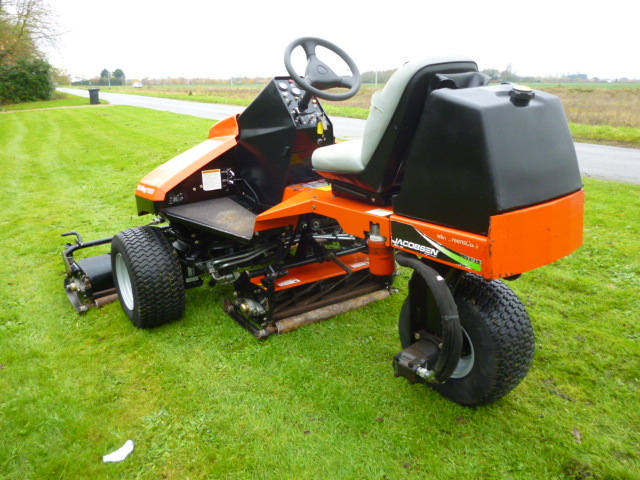 TEES MOWER. 3WD. 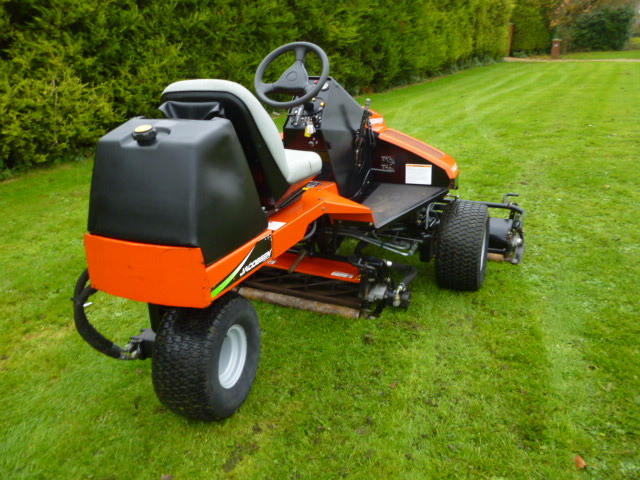 More Information: The Tri King ride on triplex trim mower by Jacobsen produces an excellent quality of cut particularly on areas where there are steep slopes to manage. Power steering provides improved maneuverability and easy comfortable operation, while the standard three wheel drive gives the operator superior traction control. 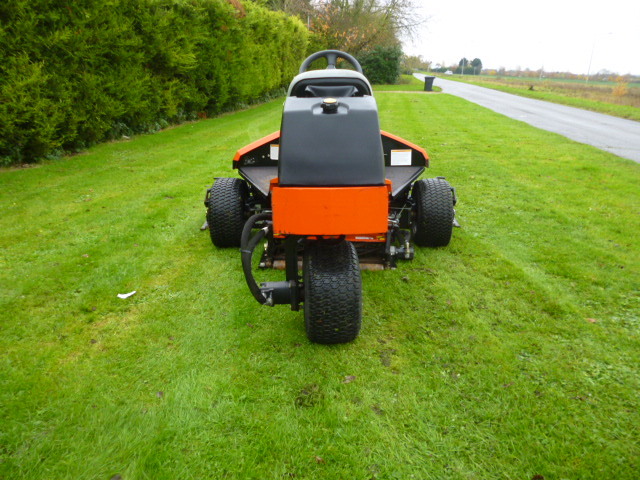 Iso mounted 17.7 hp Kubota liquid cooled engine. Increased performance with improved fuel economy. Greens care biodegradable. Hydraulic fluid , protects turf in the event of a spill. Environmentally friendly. 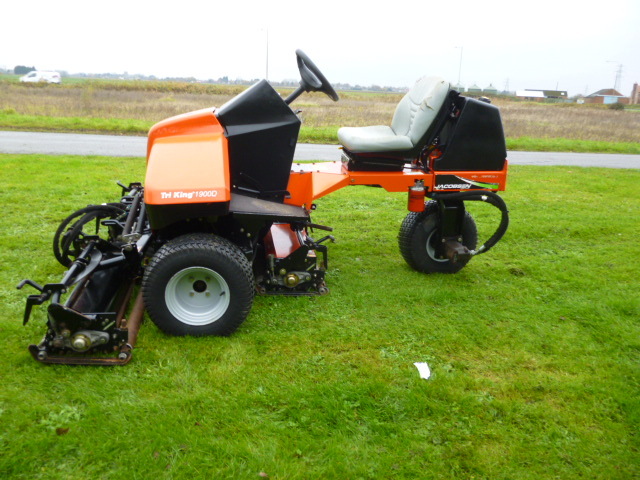 Power steering and steering wheel, improved maneuverability and easy, comfortable operation. Two hydraulic system filters - Keeps hydraulic system clean for longer life. 20 x 10-10 Multi trac traction tyre, for side hill traction and a smoother ride.